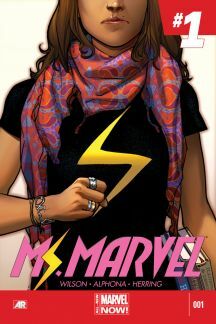 Oh my gosh, it’s Kamala Khan, Ms. Marvel! We're so excited to welcome Kamala to Marvel Puzzle Quest. She's been a hit with fans and with the developers here at Demiurge since her first appearance, and we're incredibly proud to be the first video game to feature Marvel's newest Inhuman Avenger. But maybe you've been living under The Thing and you're not familiar with this incredible heroine. Don't worry, MPQ Player... we've got you covered. Fun fact! When I interviewed for a position to work on the Marvel Puzzle Quest team, the Lead Designer asked me which character I'd want to put in the game if I could. I didn't have to think twice about my top choice, and with a lot of new characters and events between then and now, I'm so happy to say that Iron Fist (Immortal Weapon) has finally joined the fight!